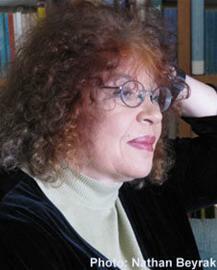 Eleonora Lev is a novelist, editor and critic. Her father was the sole survivor of a large Polish-Jewish family that perished in the Holocaust, and her Russian maternal grandfather was executed as a kulak by firing squad during the Stalinist purges. 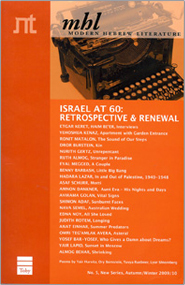 Lev serves as literary editor of Words and Images: the Jerusalem Literary Project, a series of in-depth videotaped interviews with great Jewish writers of our time, conducted in conjunction with the National Library in Jerusalem. Eleonora Lev was the first woman writer to win the prestigious Bernstein Prize for her novel, First Morning in Paradise (1996). She is also the recipient of several other important awards for her books, literary criticism, translations and journalism, including the Prime Minister's Prize (1999).